David Narhi never saw himself as a teacher. Until last fall, Narhi worked as an automotive technician for Copper Country Ford, a Ford Motor Co. dealership in the Upper Peninsula city of Houghton. Before that, he said, he’d served four years as an aircraft mechanic in the Navy. Then a teaching job opened up in the Copper Country Intermediate School District, which runs an automotive technology program at a vocational center in Hancock, across the Keweenaw Waterway from Houghton. It happens to be the same program Narhi attended as a high school student. The state wants to recruit more people like Narhi from the private sector into career-tech classrooms at public schools to combat a shortage of teachers that the Snyder administration says has led to cancellation of specialized courses in schools across Michigan. Gov. Rick Snyder: The revolution has started. Now Michigan must lead it. Michigan already allows people with relevant business or industry experience to work as teachers in vocational programs without requiring them to have teaching credentials, provided they eventually get certified. State educators, led by Michigan Department of Education Superintendent Brian Whiston, want to give career-tech instructors more time to earn their teaching certificates to speed up the hiring process and attract more potential candidates. They can get a state permit that authorizes them to teach, provided they have at least a high school diploma or equivalent and at least 4,000 hours of work experience in their field. Republican lawmakers in the state House have proposed a similar plan, though their bill would let non-certified vocational teachers skip getting a teaching credential indefinitely, so long as they were rated “effective” or “highly effective” during their first three years of teaching and met other benchmarks. The latter idea has critics, including teachers and some secondary school principals, concerned that schools will shortchange quality instruction in order to fill a classroom. They contend that people without teaching experience may know their subject and be good with kids, but lack the ability to manage a classroom or be effective at helping students master content. 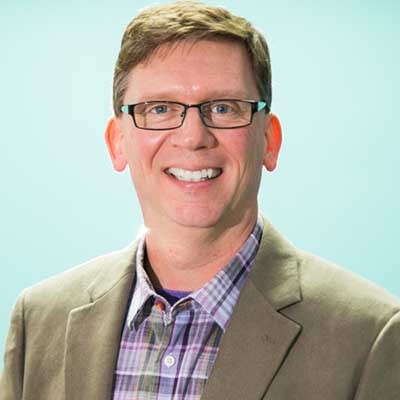 “If I don’t need a teaching certificate to be a teacher, why would I ever get one?” said Bob Kefgen, director of government relations for the Michigan Association of Secondary School Principals, which represents at least 1,700 head and assistant principals across the state. Some vocational program leaders say, however, they have struggled to attract certified career-tech teachers when they have job openings, or have lost candidates who didn’t want to go through a rigorous certification process. “It’s almost impossible to find someone who has a teaching degree and all the relevant experience,” said Joe Anderson, principal of Livonia Career Technical Center, which enrolls about 875 students mainly from Livonia and Northville in Wayne County. Regardless of their thoughts on the approach, this point generally has consensus: Schools that aren’t preparing at least some of their students for careers after graduation, especially in high-demand skilled trades fields, are not doing their job. Gov. Rick Snyder has focused on expanding skilled trades employment during his two terms in office, in part because a rapidly changing economy requires people to have more advanced training and skills than they once did, and because an aging workforce is leaving employers without sufficient talent in the pipeline to replace retiring workers. Snyder’s administration is targeting K-12 public schools as the launch pad for many of these efforts, including improving career counseling, exposing students to careers through exploration and internships, and expanding enrollment in career-tech programs. Snyder last week unveiled a major talent initiative that attempts to prepare Michigan’s workforce for jobs in fields considered to be high-demand, such as information technology, manufacturing and other professional trades. “We’re currently holding ourselves back,” Snyder said during a news conference in Detroit to roll out a $100 million initiative that includes scholarships for students and grants to schools that partner with companies to train students on the equipment and technology used on the job. Yet Michigan’s career-tech system also is fragmented. Some counties have millages that can support vocational programs, such as construction trades, health occupations, culinary arts, welding and automotive repair. Others don’t. Some have standalone vocational centers that serve multiple schools in a region, while other students attend classes inside their traditional high school. Enrollment slid in recent years. Slightly more than 109,000 students in grades nine through 12 are enrolled in career-tech programs across Michigan this year, roughly 23 percent of all high schoolers, state data show. That’s down from a recent peak of more than 118,000 students in 2011, when Snyder took office, though enrollment has been trending up since 2015. Finding enough teachers with the expertise to run the courses has proven challenging. Michigan is expected to have 1,530 career-tech teachers in 2024, 140 fewer than in 2014, according to the Michigan Bureau of Labor Market Information and Strategic Initiatives. One reason could be that enrollment has gone down. The hope is that with enrollment gains over the past couple of school years, plus more emphasis in Lansing on expanding talent, “there will be an increased demand for teachers with these skills,” said Dave Murray, a spokesman for the Michigan Department of Talent and Economic Development. A shortage of teachers can mean that even if a school has the equipment and student interest to offer a course in a given subject, it can wind up canceled if no instructor is available. The state said it doesn’t have a definitive list of how many classes have been pulled due to a lack of teachers, but Roger Curtis, director of the state’s talent department, said he knows anecdotally of at least 50 statewide in that boat. Roger Curtis, director of the Michigan Department of Talent and Economic Development, wants to help improve career-tech courses for Michigan high school students, in part by recruiting more teachers with industry experience. The state’s talent and education departments have joined forces on what’s being called the Career Pathways Alliance, an effort to unite business leaders and educators around ways to increase Michigan’s talent pool. The idea of recruiting new career-tech teachers directly from the private sector is an outgrowth of the alliance, Curtis said. In the near term, Whiston, the state superintendent, issued an order last June directing Michigan Department of Education staff to allow non-certified career-tech teachers to take up to 10 years, rather than the current eight, to obtain a teaching credential. The state wants to make it easier for career-tech teaching candidates to enter the classroom and get certified as teachers, Curtis said. Some career-tech teachers might take a pay cut to enter teaching from a private-sector career, he said, and it could be difficult for them to go back to get a bachelor’s degree. It’s difficult to say definitively whether teaching in a vocational classroom would require a pay cut. Teachers’ wages are negotiated in employment contracts between teachers unions and school districts, and vary by district. Secondary-level career-technical educators earn an average salary of $64,330, according to federal data from May 2016, the most recent available. That statistic is misleading, though, because it would include teachers who earn more money for being a longtime teacher and for having advanced degrees. It doesn’t single out what a new teacher would earn, especially when switching careers from the private sector. A teacher with a bachelor’s degree and no more than two years of teaching experience earned an average of $36,620 in 2011-12, the most recent data available, according to the National Center for Education Statistics. When considering other types of professions taught in career-tech programs, registered nurses earned an average salary of $69,100, while automotive service technicians and mechanics earned an average of $40,380, according to data from the U.S. Bureau of Labor Statistics. 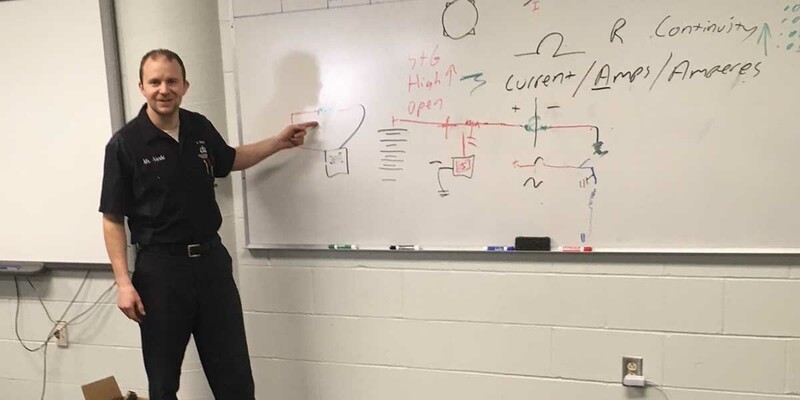 In Livonia, almost every instructor who comes to the school from industry has to work on earning a teaching credential, said Anderson, the center’s principal. A recent example: He hired a teacher who has a background in athletic training and physical therapy to lead a sports medicine course this year. That teacher has a bachelor’s degree, though not in education, and now is on track to take classes to earn a teaching certificate, Anderson said. A chef of more than 30 years recently took a job as a paraprofessional in Livonia’s culinary arts program in large part to have regular, daytime hours after years of working in a kitchen until midnight, Anderson said. Finding people skilled to teach auto technology or construction trades is particularly challenging, he said. The House bill would allow career-tech teachers to teach with no requirement that they obtain a teaching credential within a set number of years. It passed the House by a 61-49 margin in December. The Senate’s economic development committee heard testimony on the bill last week, though it didn’t vote. Sen. Ken Horn, R-Frankenmuth and committee chairman, said at last week’s hearing that the bill and others in a broader legislative package are expected to be amended in coming weeks. At issue is whether the bill should simply waive the requirement to get a teaching certificate, or would offer an alternative, speedier path to certification for new teachers without a teaching degree. David Crim, a spokesman for the state’s largest teachers union, said the Republican-controlled Legislature has passed bills that have gone after educators’ wages, benefits, pensions and collective bargaining rights. Crim contends the Legislature’s choices have had a cumulative effect of reducing enrollment in college teaching programs by half over the past 10 years. Average teaching salaries fell last year for the fifth straight year. The concerns are merited, said Teresa Weatherall Neal, superintendent of Grand Rapids Public Schools, whose district is looking to add a second vocational center in the next 18 months. Yet they’re also indicative of the siloed thinking that has long dominated public education, she said. This might mean that a career-tech instructor with an industry background takes a different route than many teachers do, she added, but that doesn’t make it wrong. For Narhi, the automotive teacher in the Upper Peninsula, changing careers has been challenging — but also rewarding. He took the job because he didn’t want to see the class fade away for lack of interest, or an instructor. He said he hopes he can improve it, and maybe become a role model to students. Narhi said he gets advice from his school district, and other teachers, but he also has invested a lot of effort in understanding the material so he can explain it to his kids, and learning how to adjust his approach between students who already mastered the basics and those who are just learning what’s beneath the hood. His high school students, he said, are his customers — only this time in a classroom, not a car lot. The fact that these people have been successfully employed in the related fields that they would be teaching in for some time, makes the entire "requirement" that they have some certification totally and completely moot. And before someone cites the fact that jumping through these additional hoops would weed out people who would be a danger to students, remind me again how many certified and licensed teachers and principles have been caught in "inappropriate" situation with their students? As a former career education professional I'm in favor of allowing up to 10 years to allow Career/tech teacher certification advanced by Supt. Whiston in part. I say in part, because I feel it necessary for a standard of yearly progress toward meeting the requirement must be in place with the added requirement of completing methods and other pedagogical classes during the first three years of employment. These classes can be developed and taught on a professional development and/or regional basis under supervision of Dept of Ed. I’m a retired Michigan high school career-tech educator having some experience of teaching with persons who didn’t go through the traditional route of getting a 4-yr. degree first, before becoming a teacher. These persons who came from business and industry, with the necessary work experience, without a teaching degree are known as being “annually authorized,” meaning they could teach up to 5 years, before becoming fully certified. My experience with working with annual authorized persons was generally positive, since all of them, excluding one that I’m aware of, got their teaching degree within this 5-year period. The one that didn’t was let go after 2 years, since he gave all of his students an “A” for a grade, since he lacked the curriculum and pedagogical knowledge of how to grade students, which learning is part of a teaching degreed program. The very unfortunately part about the one person who didn’t work out, because of his inability to grade students, the program he taught got a bad reputation from sending school counselors, went to half time because of low enrollment and after 2 more years was eventually dropped, even though a fully certified teacher was hired for the remaining two years. This teacher couldn’t afford to work only half time, left and created the same program at a different Michigan career-tech center. This teacher and program went on to become very highly regarded in Michigan. What surprises me about some legislators and Superintendent Brian Whiston, who are promoting lessoning requirements for teaching career-tech education is that they completely fail to recognize that having a set of skills to be a quality electrician, plumber, automotive mechanic, health care technician, etc., are completely different than having the skill set to be a teacher. Just because you can do the one, doesn’t mean you can do the other. If the skill sets are the same, I suspect people would be hiring their doctor to also be their lawyer. Well, of course not. I also have some experience working with the skilled trades with their apprenticeship programs. So, what some legislators and Superintendent Whiston, are suggesting, is that a person could teach with a minimum of a high school diploma/GED and at least 4,000 hours of work experience in their field. This would be equivalent of an apprentice being allowed to teach after 2 years of their apprenticeship program, since the very most of these apprenticeship programs require a high school diploma/GED to get in and after 2 years of work, would have the necessary work hour requirement of 4,000. Most skill trades apprenticeship programs are between 3-5 years, before completers can qualify for their journeyperson status. And to be fully qualified to be a journeyperson, there are certain tests after their apprenticeship is complete, they have to pass. Training directors and their instructors who operate apprenticeship programs, often have qualifications far exceeding what it takes to teach in Michigan. So, based on my experience, I don’t support where legislators and Superintendent Brian Whiston are taking us, by lessoning the requirements for teaching CTE or any other subject. At the career-tech center I retired from, I’m now a school board member on the RESA that governs the operation of this school, having served on the board for 15 years, after previously having 28 years of board experience at the local school level. As a school board member, based on my experience, I just can’t see a circumstance where I would vote to hire someone with the qualifications that some legislators and Superintendent Brian Whiston are trying to implement. Unfortunately, Michigan students are suffering through decades of public education neglect, where governors and legislators have failed to invest in our youth through strengthening public education. And now our state elected leaders, many of them who have been part of this neglect, want to further mistreat our youth, by instituting less qualifications to teach. To me, that’s child abuse. If having several years' experience qualifies one to instruct, I'm going to get a job teaching that for every good idea they have, Republicans propose ten really stupid ones. My daughter, with a degree in engineering from a Michigan school once wanted to become a high school math teacher. She was told she wasn’t qualified because she did not have a degree in mathematics. She replied “you do realize that in getting my PhD In engineering that I took way more math classes than I would have taken if I had pursued a bachelors degree in math.” She is and remains happily employed out of state. Modify the the teaching certificate requirements to match the experience and skill sets a prospective CTE teacher brings to the classroom. Do not require completion of a four year teaching degree. Provide on site coaching and mentoring from individuals that are qualified in coaching and mentoring (don't just assign an administrator or teacher to the task). Allow testing out of requirements. I teach culinary arts. I taught at the college level at the most prestigious culinary school in the country for two years prior to moving back to the state of Michigan. I have been on annual authorization for 7 years now. I have completed the program for CTE teaching certification through Ferris State, yet cannot complete my degree because I am unable to pass the math portion of the test. I have taken the MTTC test three times and three times come up short. I recently took the new SAT test (the state's answer to the problem...yet another test) and again came up points short of passing. I don't understand what my understanding and ability towards performing advanced mathematical equations have any reasonable bearing on my skills of teaching culinary arts. This is troublesome to me and I compare to this scenario; Show me a high school teacher of mathematics, one that like myself graduated with honors from the Havard of their profession. Show me a math teacher who is then told, in spite of their highly esteemed education, must go back to school and get a four-year degree in cooking. Show me a mathematics teacher that is willing to work for the lowest benchmark of salary, while they simultaneously teach full time and go to night school for those four to six or eight years it takes to get that cooking degree. Show me a mathematics teacher that is willing to take out the crushing student debt and struggle with keeping from financial ruin while full time teaching and attending night school. Show me a mathematics teacher that is willing to take on the day-to-day challenges of; ordering, checking in, booking & planning events, budgeting, and the requirements of operating of a business five days a week, while at the same time teaching full time and going to night school. Find me a mathematics teacher that upon completing their culinary certification, would never once use that skill in their teaching career again. Find me that person that would support such an irrational exercise in futility, such an offensive waste of talent and experience. Yet this is what many of my peer CTE instructors are forced to do. It's a travesty to think of the education that could have helped so many students, instead lost when we continue to turn away experienced, skilled and career dedicated professionals for such collegiate biased, unrealistic and antiquated standards for vocational education. At a time when so few are coming into to the teaching profession in general, not to mention the severe shortage of those with vocational backgrounds, complicated further by the ever-widening gap of young professionals able to fill the jobs of those retiring, it's a complete bloodletting for all of involved with skilled trades. I'm bothered by what I see going on around me and as our programs continue to take a back seat to state testing and core credit mandates, my disillusion for CTE education as a whole grows even more desperate. Do what is ever necessary to get good people into teaching. I was there for 35 years and I saw a number of people who did not have a teaching degree do a beautiful job. As long as you have schools in Mi. starting new teachers at just over $30000 you will continue to get the best possible people for our kids. I know they only work 185 days a year. Then work to change that. R.L. As a longtime educator, currently working in a university teacher education program, I agree with Chuck Fellows' recommendations. Teaching is a separate skill and building a "toolbox" of instructional strategies to use while delivering content is essential for success in the classroom. If given an opportunity, Michigan universities could devise alternative certification programs that align with the needs of a potential career-tech teacher. As to the decline in career-tech student enrollment, the legislature needs to revise mandates that have forced schools to prepare all students for college readiness by requiring ACT/SAT testing. These mandates leave little time for students and schools to explore and encourage career-tech options. This is NOT how you fix the teacher shortage.